We have extensive experience of managing UNICEF Baby Friendly projects in both acute and community settings. We can provide comprehensive project management or consultancy to assist organisations to full accreditation. Education of all frontline staff who support pregnant and breastfeeding women is crucial to any breastfeeding strategy. 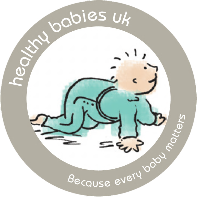 HBUK have 7 years experience of delivering training to midwives, health visitors, Nursery Nurses (NNEB), Children’s Centre staff, community health workers, public health nurses, speech therapists and dieticians etc. We can provide a comprehensive training programme designed to meet the needs of service provider and staff. Updating of all GPs is a crucial part of facilitating the continuity of information and support for breastfeeding women, and to facilitate achievement of full UNICEF BFI accreditation. HBUK have 10 years experience of delivering this training to GPs. We can offer a one-hour session at a times and venues to suit busy practitioners updating them on latest research and answering questions. We offer sessions for both mothers and health professionals exploring issues and sharing up to date research. We discuss options for introducing solid food to babies alongside continued breastfeeding if the mother chooses. Two of our directors are midwives so we able to offer the full spectrum of antenatal education to meet the individual needs of service providers and clients.